Ford made quite a big deal when it launched the US market Fiesta a few years ago, but today’s situation is literally the opposite. 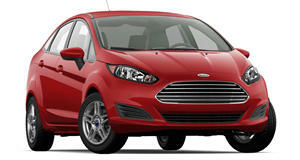 According to Left Lane News, the redesigned Ford Fiesta, due to go on sale for 2018, will not return to the US. When it was first revealed a few months ago, Ford didn’t make specific mention of its US market status, so naturally that caught some attention. "The previous model was a global Ford product, and with the new generation, we are targeting only Europe, the Middle East, and Africa. In North America – especially in the US, China, and Latin America the demand for such vehicles is declining, and we are reacting accordingly," stated Ford’s B-segment vehicle program manager Robert Stiller. Ever since 2013, Fiesta sales have gradually declined in the US; just 48,807 units were sold last year, compared to 71,073 in 2013. 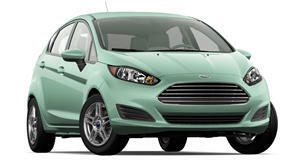 With the US market Fiesta now a goner, the Fiesta sedan is also being discontinued, another way in which Ford saves money. And yes, this all means the next generation Fiesta ST hot hatch will not be sold in the US, a real loss for many enthusiasts. Ford is expected to make an official announcement regarding the Fiesta’s status in the coming weeks, but there’s no point in hoping for a change of heart; the decision is final. 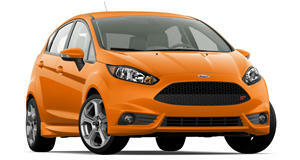 This means the upcoming next generation Focus ST will become Ford's entry-level hot hatch for the US. It'll have some big shoes to fill, to say the least.